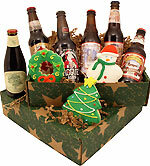 If you've been sitting around brainstorming gift ideas for the beer lovers in your life, stop wasting time and order this Holiday beer gift box. 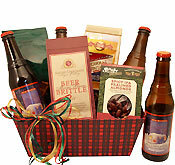 All off the sweet treats are infused with IPA flavor, and the selection of Sierra Nevada holiday-themed IPA sets the tone for a seasonal party not easily forgotten. 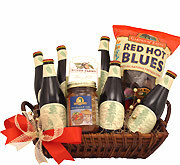 If you can't swing a visit to someone special this year, sending this basket is a great way to ensure that you're not so easily forgotten either. You provide the name and address. 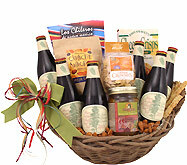 We provide the gourmet treats and the quality brew packed into a holiday-themed gift box. My family loved the gift! May be using your products again next year!